Enter the world of manga comics and Harajuku Girls, bullet trains and Hello Kitty. Children love Japan, a fascinating country both futuristic and colourful, yet steeped in tradition and mysticism. Away from the cities there are temples, castles, mountains and beaches, along with endless new food experiences. If most adults come away from Japan enthralled – just imagine visiting Japan as a child! Utterly fascinating and yet accessible, a trip to Japan will be an unforgettable and mind-opening experience for the whole family. Our individually-tailored itineraries and expert staff mean that we can create the perfect holiday to suit your budget, ages and specific areas of interest. Our team has suggested some itineraries, below, but each family’s trip is individualised just for you. This is just one example of the many possibilities available on our 13-night family holidays, whether you like modern Japan, prefer activities or want a more traditional experience Japan isn’t all neon-spangled amusements, however, and our customers will agree that a wide range of experiences is what makes a great family holiday. On this suggested tour of Kyushu, for example, you can see a little-visited oasis filled with steaming volcanoes, bubbling hot springs, lush rainforests, sandy beaches and a Samurai castle. Japan’s infrastructure and amenities are superb and its cities are some of the cleanest and safest in the world, with affordable and good-quality food easy to find. And if sushi isn’t your thing you needn’t worry – options encompass everything from all-you-can-eat ice cream parlours to fishing restaurants where you can reel in your own meal! Proof that Japan with kids needn’t be expensive comes on our 7 Night Price Cruncher trip, which is extremely affordable for families. 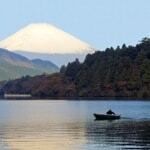 Accommodation in Japan lends itself to family travel with large family rooms and self-catering houses. To top it all off, children receive lots of positive attention in Japan, making travelling as a family not only stress-free but a positive joy. 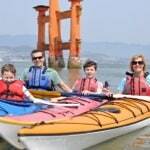 Find out more about our family holidays in Japan.